Stone walls have been used for centuries in one form or another and from my own experience in building with stone, it's both taxing and rewarding at the same time. 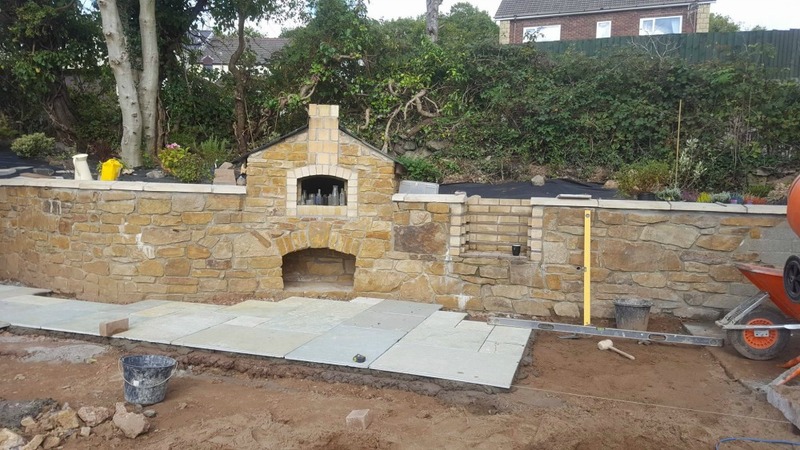 It's a little more complex than brickwork or blockwork as these are both modular and easy to to set out and construct with a little practice and experience, however stonework is a set skills all of their own. 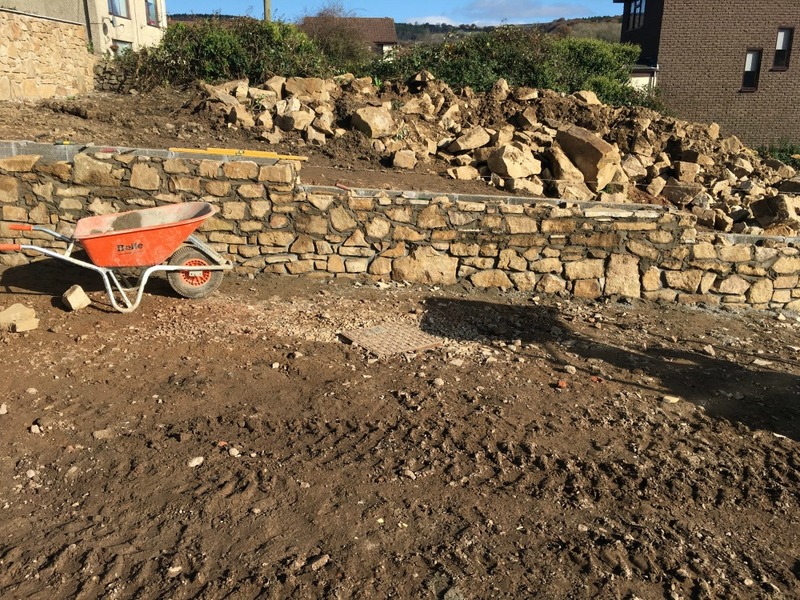 Depending on the type of wall you're going to build, the setting out and planning will need some careful consideration as stone walls always have a single face to worry about and even though you'll be using 'the face side' or dressed side, it needs to be contained or held upright as construction of the wall progresses. Dry walling is a great example of skill, where 2 faces will be built either side of a wall with constant in-filling as you progress. 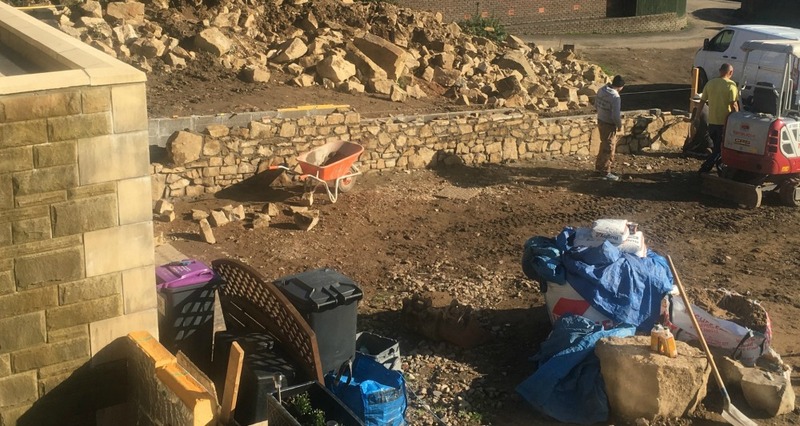 With dry stone walls, waste pieces and smaller stone will be carefully placed within the wall for stability as the build progresses. Alternatively a wall built with mortar has a similar in-fill, but has the addition of mortar to hold it together. Also the stone doesn't have to be as 'correct' as the mortar will allow a little flexibility, albeit limited. 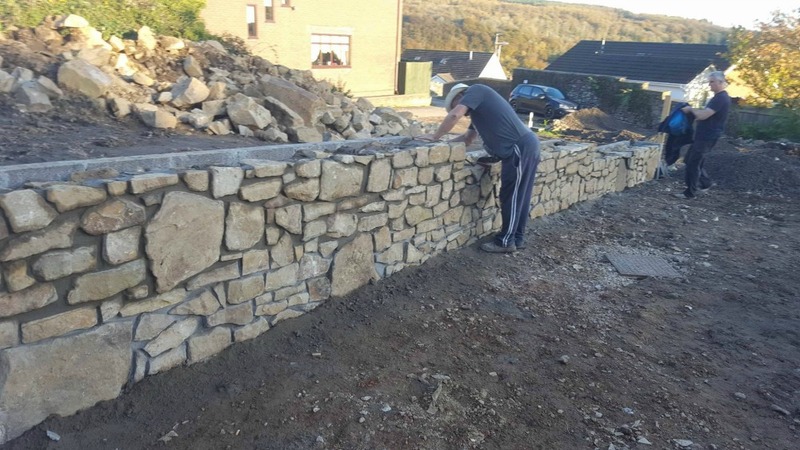 One method of construction for free standing walls is to erect a middle, this could be an independent wall and the stone walls constructed with this to 'lean' against. This reduces the amount of in-fill and the stonework can be raised more rapidly than without. Another method is to use a fibre board that can remain in the wall without removing but not causing any reduction in strength. If the cost and construction is prohibitive in any way it's probably a good idea to build a wall to fix to (as in the first photo), reducing the amount of stone and enabling you to construct walls a little easier. This way you have a preset level and plumb wall to work to, saving both time and money. Stone steps can also be built using this method having the shape and form already in place saving the complexities of setting out completed, before applying the finish of stone in a nice uniform manner. The cost of building any type of stone wall will be far in excess of using standard bricks or blocks, however the finish of manufactured bricks is no comparison to a natural product that has evolved over many millions of years, which makes it such an attractive proposition that inevitably comes with a weightier price tag. 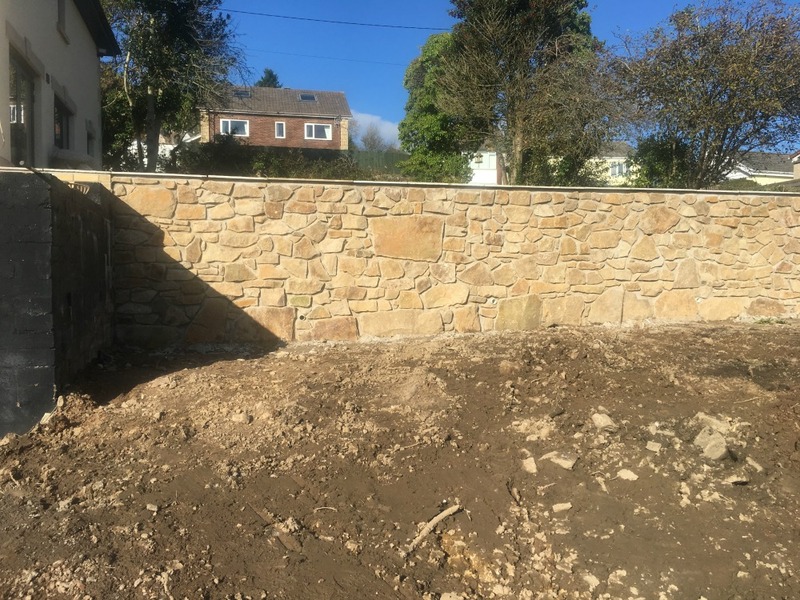 Retaining walls using stone will rank as one of the most impressive types of construction not only because of the skill needed to build them, but also the overall impression that this natural product represents. As a material it improves with age and history will tell us, it's life expectancy far exceeds that of brick, block or any other reconstituted material. Wherever you are building with stone you will be able to source from many suppliers of natural stone and I'd suggest using such search terms as suppliers of natural stone, natural stone supplies, stone suppliers PLUS your locality, quarries PLUS your locality as some suggestions. 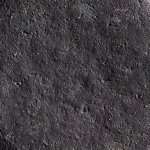 You might be quoted per tonne, per square metre if it's dressed stone or on a specific quantity or quality! 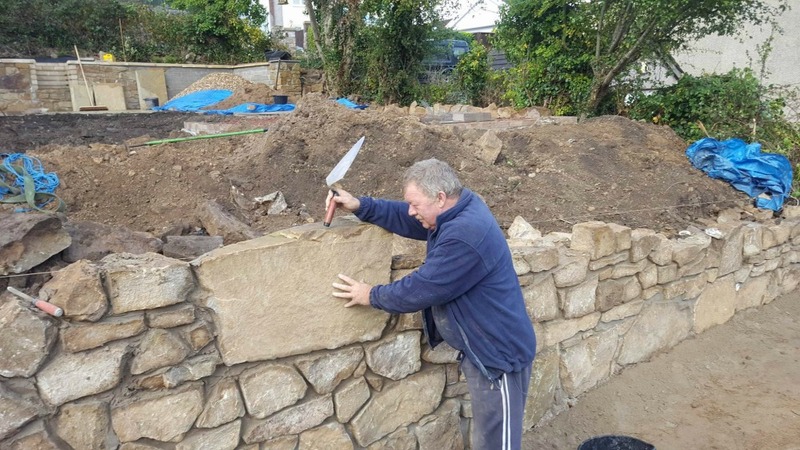 Personally I'd opt for 'dressed stone' every time unless your are very experienced in forming the stone to the shape required for building walls, whatever the construction type.